You are here: Home / Vehicles / Check out the Quadski! A what you ask? A Quadski! 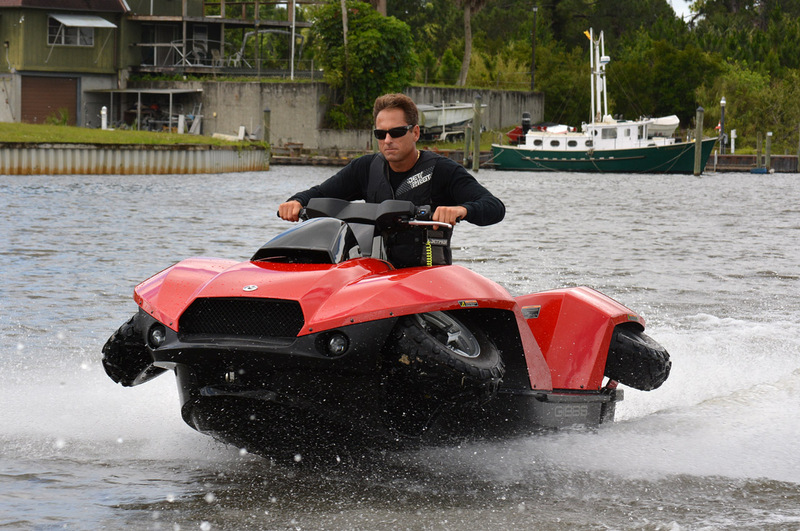 Now you don’t need to trailer a JetSki to the ramp, you simply ride a quad bike to the water, drive in, lift the wheels and presto …. a Quadski! Made by Gibbs Sports Amphibians in Detroit, the craft has a BMW 1.3 litre motorbike engine that has been modified for marine use and has less power on land than it does on water – 140 hp on water and 80 hp on land. No need to buy two toys anymore! Image is owned by Gibbs Sports.